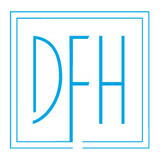 Yulf Design & Flooring is a family owned and operated business established in Houston in 2010 and since have been providing high quality flooring products to Texas and the surrounding states. Yulf Flooring Laminate products are manufactured in our own factory in China. This ensures a level of quality and authenticity. We specialize in residential and multifamily residential projects. We'll help you select the most beautiful and complementing flooring from a great variety of options such as solid hardwood, laminate, engineering floor, vinyl, carpet and all kinds of porcelain tiles. We deliver and install all our products. We provide our clients with the very best in quality and service for all of your flooring installation needs. Customer Satisfaction is always the priority in our company. We win our customers through our great work and affordable pricing. Customer referral is the best praise for us. Please give us a call and find out the best deal for you, let us provide you with the best service you deserve TODAY! can be open earlier or later times please call or text 713-888-0070 Home builder design center There are few things that can turn your house into a home better than top-quality, gorgeous floors. Whether engineered hardwood, laminate and luxury vinyl planks… The right floor can turn any room into a masterpiece of style and comfort… Especially when you purchase it from Floor Houston. 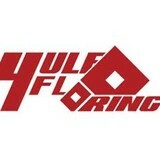 At Floor Houston they offer the largest selection of flooring, well, anywhere. 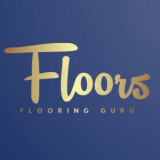 Need an amazing floor for your Houston home? No problem, Floor Houston ships all over the Houston area. They also ship their fine flooring anywhere in the United States too. Whether you’re building a new home… Or want to renovate the floors in your older home… Floor Houston has the styles and selection you want, at very affordable prices. They even offer financing! By the way, the quality of all their flooring is second to none. In fact, Floor Houston has a lifetime installation warranty. That’s a long time! So if the very best, most beautiful flooring is what you seek… Backed by a installation warranty… Look no further than Floor Houston. Click the link or call to order your new floors today! We are a one stop shop experts. We work with customers one on one to meet their needs. We offer a full showroom of flooring samples and window treatments. Stop by at any time! At Petra Flooring and Blinds we have been delivering quality work and flooring for years. At Petra Flooring Blinds and Cabinetry we carry quality Blinds and Shutters featuring Hunter Douglas and Graber. We also install and sell Polar Shades. Give us a try and we promise to make your experience as easy as possible. With dependable service, on-time installations and multiple product discounts, we have become the industry leader to be trusted. We can save you money, time and can work within your budget. We have quality products at value pricing with the most highly trained installation teams. Give us a call and we promise to make your project experience as easy as possible. Houston wood floor, refinishing, sanding, installing, tile installed, solid hardwood, older wood floors. Sale: Mohawk, Armstrong,, Real Wood Floors, L&M, Southern Traditions, Bruce, Quick Step, Castle Combe, Montage, Bamboo Hardwoods, Prestige, Salt Box, Mannington, Prestige, Regal, Bausen many more name brand floors. We are hardwood refinishing professionals based in Houston. We take pride in every installation and refinishing project; every project is unique and every customer is special. We have sanded 100's of homes in the Greater Houston area from older wood floors to new construction homes. We've been in business since 1989 and have the experience to do any type of hardwood flooring project from residential to commercial buildings, water-damaged floors, and complete hardwood floor replacements from start to finish. We use containment vacuums to minimize residue, debris, and dust for easier clean-up. We also do species-matching for older hardwood flooring, new modern wood floor colors like greys, ebony, dark chocolate colors, water-base, oil-base polyurethanes. We are dedicated to completing each job on time and on budget. For over 20 years, Designer Floors of Houston has remained a leading flooring company in the greater Houston area. A locally owned and operated business, we focus on combining innovative designs with expert flooring knowledge. This allows us to tailor each project to meet our customer’s unique needs, ending with a more beautiful and functional space for their home. We invite you to visit our Projects tab to view some of our recently completed projects, and call us with any questions about our company or the services we provide. Our attention to service and quality has made us an one of the best in the industry. At our company, the customer always comes first, and we constantly strive to exceed your expectations. We are a full-service floor renovation company specialized in understanding your goals and providing top-tier service to work with you. From hardwood flooring ideas and bathroom remodeling projects, to custom tile entries and foyers, to gorgeous wood staircases, exotic wood floors, and new baseboards, or finishing touches like Crown Molding, or restoring old wood floors back to new. As a Floor contractor in an elite class of award-winning service providers recognized for excellence, we can provide floor renovations to improve your home value and your quality of life. Houston's best selection and pricing on beautiful hardwood and laminate flooring. Family owned and operated come experience the difference with Armory Floors. My brother and I are co-owners of this business and are 4th generation in the hardwood flooring business. We have a full selection of flooring from entry level laminates to truly one of a kind custom made floors that we make and manufacture ourselves 100% in the USA. Flooring isn't just our job it's a family tradition and we would love to help you get the floor of your dreams at a price that lets you sleep at night. Since 1982, the professionals at Schenck & Company have been creating, installing, and restoring hardwood floors in the Greater Houston area. With award-winning designs and unparalleled customer support, Schenck & Company brings artistic integrity and exceptional performance to every job. You see, at Schenck & Company, fine wood flooring is more than a business, it’s a passion – a passion we’d like to share with you. Gulf Coast Flooring & Services began with humble operations in 1986 as “The Carpet Store” and maintained a comfortable “Mom and Pop” status for many years. In 2008 Jordan Jenks entered the family business as a full partner after serving for 7 years in the US Military. We changed our name to Gulf Coast Flooring & Services as the company grew exponentially with Jordan’s thrust into more and more commercial flooring and concrete re-surfacing. We work with custom home builders, designers and architects as well as our neighbor, the homeowner. Gulf Coast Flooring & Services is a thriving business large enough to handle your medium to large sized jobs…and small enough to welcome your smallest jobs. At Joe Hardwood Floors, we specialize in floors. And when it comes to your floors don't you want that special touch, the touch that comes from specialists that have spent well over a decade doing - just floors? Whether it's water damage, scratches, crayon marks, warping, or just plain wear and tear, Joe Hardwood Floors can refinish and restore your wood floor back to its original shine and beauty by sanding and refinishing. We are a leading floor store in Katy, TX, providing a wide range of stylish and high quality flooring options to all our clients. The experts at our store will guide you throughout the process, right from the selection of the floor material to the installation. Our staff is well versed with all flooring materials including hardwood, carpet, laminate ceramic tile and vinyl. We can help you choose flooring that fits your budget and personal taste. 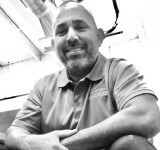 For over 13 years, Pro Floors has been catering to the flooring needs of hundreds of homeowners and business firms in Katy as well as its surrounding communities. No matter if you want a hardwood floor that can withstand the heavy traffic in your room or you want to add a cozy and luxurious look to your home, you will find it all here. Our floor store showcases flooring options in all styles – from contemporary to traditional. We also let you choose from top names in flooring manufacturers such as Armstrong, BPI, Shaw, Mohawk, Anderson, Will and many more. Floor Floor We Restore has re-established the attractiveness in hundreds of homes and businesses throughout the Houston Area for Over 20 Years. Since 1984, we have provided maintenance and restoration that is essential to the beauty of floors and surfaces everywhere. With 30+ years of experience and never using subcontractors, we have perfected our trade to better serve you. We are a locally, family owned and operated company who GUARANTEE all of our work. We soon became the preferred company in the Houston area. Clients are amazed at the results. We offer the highest level of quality of services at affordable prices. We have kept our prices low so customers can afford the luxury of beautiful flooring and other surfaces. With more than 15 years experience in the flooring industry, we provide the best quality products and installation service for both residential and commercial projects. Professional Hardwood, carpet, and tile installation company that specializes in residential home remodeling. What kinds of services do hardwood flooring installation professionals in Stafford, TX provide? Find hardwood floor experts in Stafford, TX on Houzz. Search the Professionals section for Stafford, TX hardwood flooring installers and dealers or browse Stafford, TX photos of completed installations and look for the professional’s contact information.